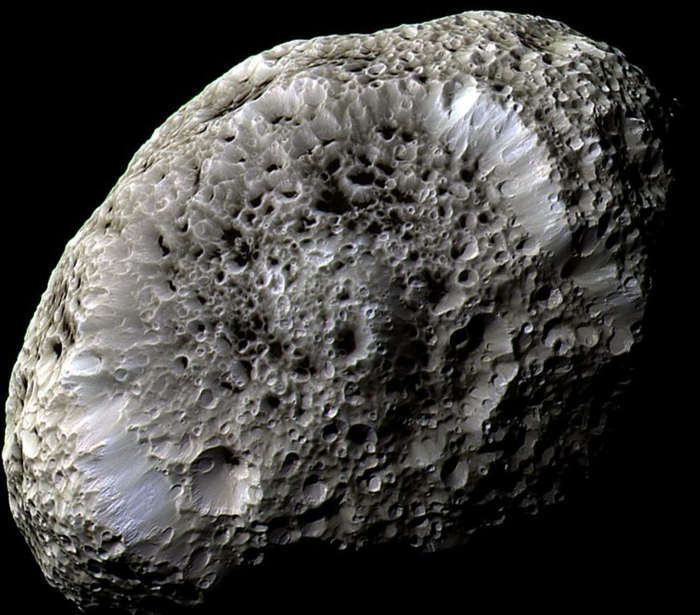 Saturn’s moon Hyperion. 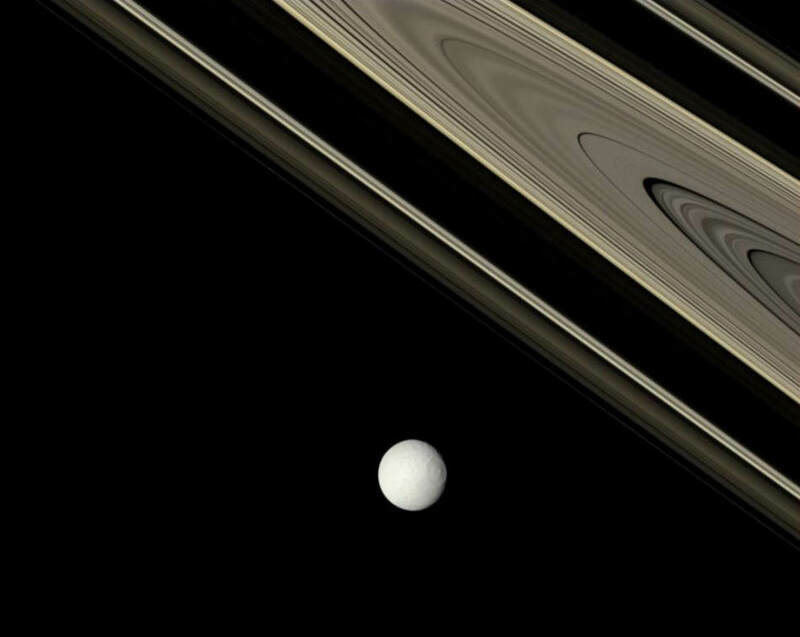 A remarkable world strewn with strange craters and an odd sponge-like surface. 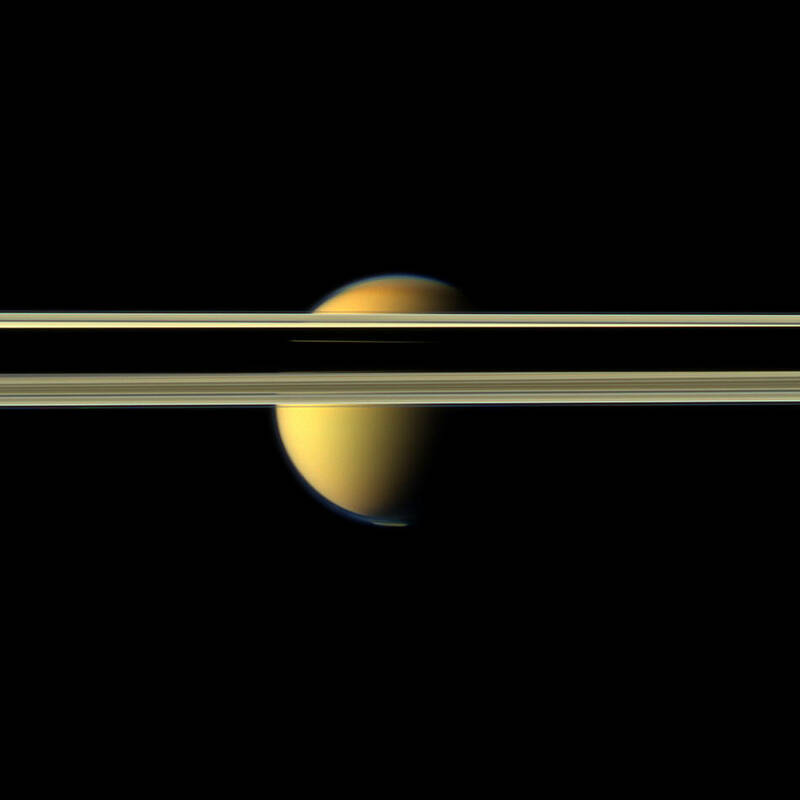 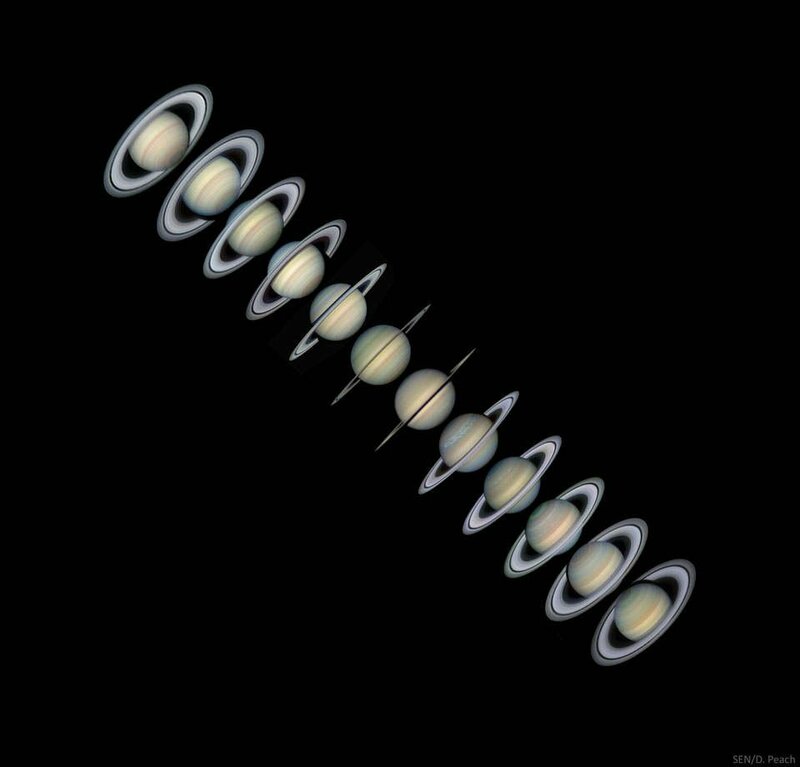 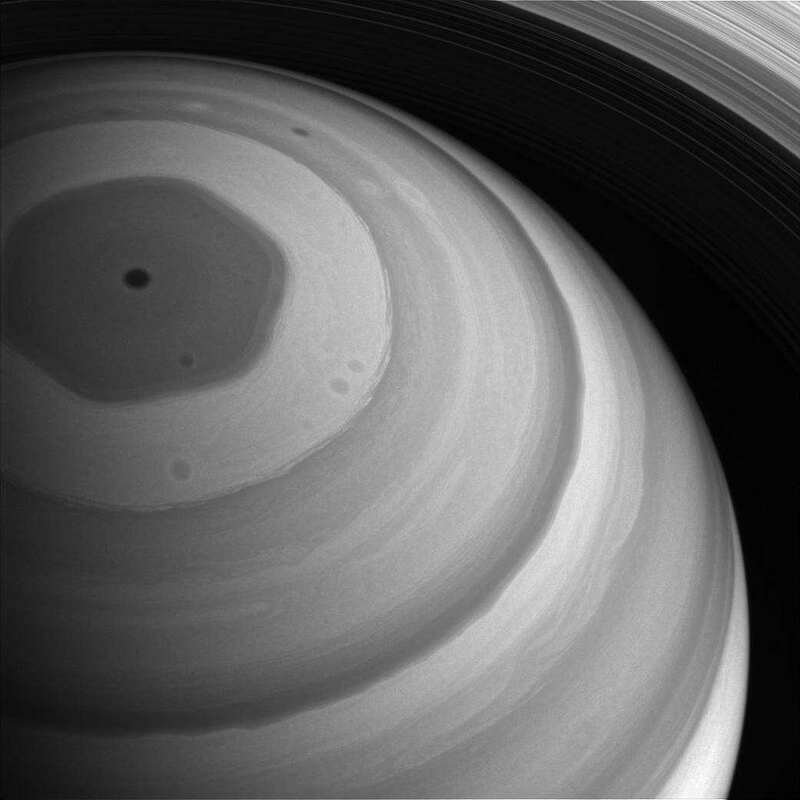 The whole Saturn’s northern region is bathed in sunlight in this view from late 2016. 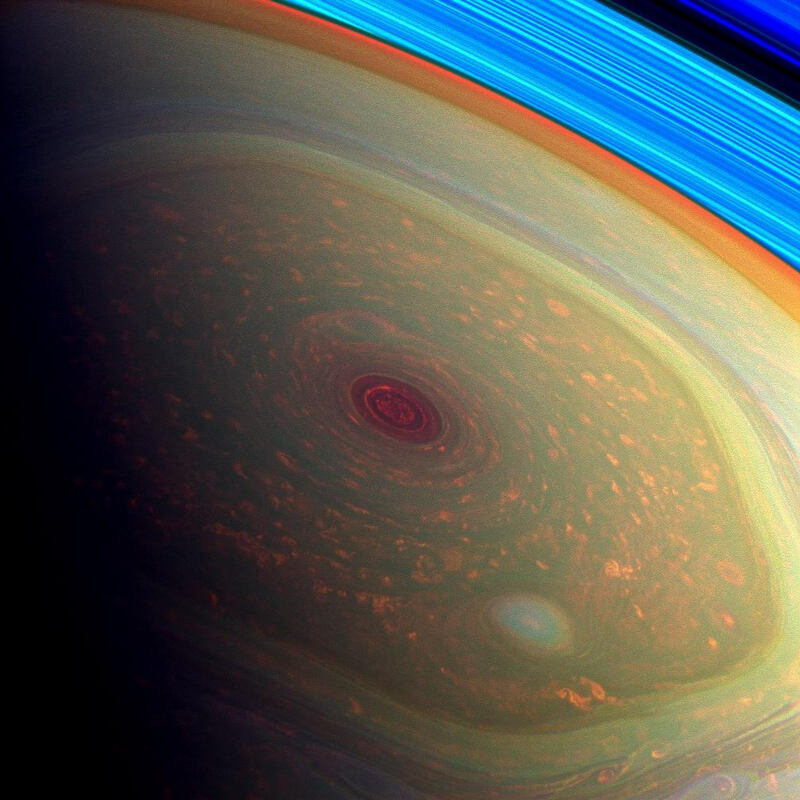 The hexagon-shaped jet-stream is fully illuminated here. 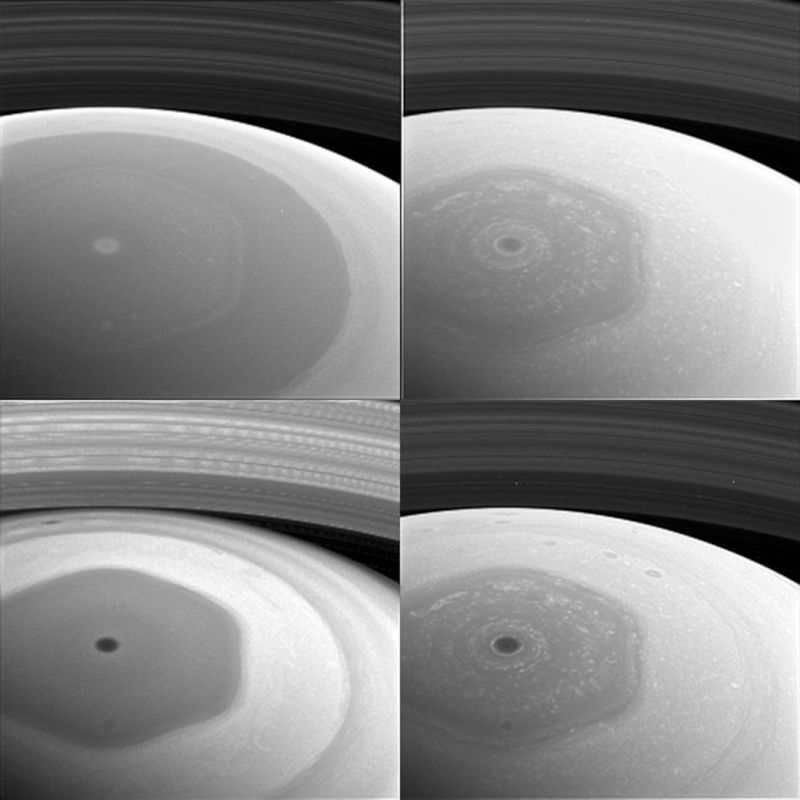 Spectacular images in this Saturnian hexagon collage, from Cassini’s orbit over the turbulent North Pole. 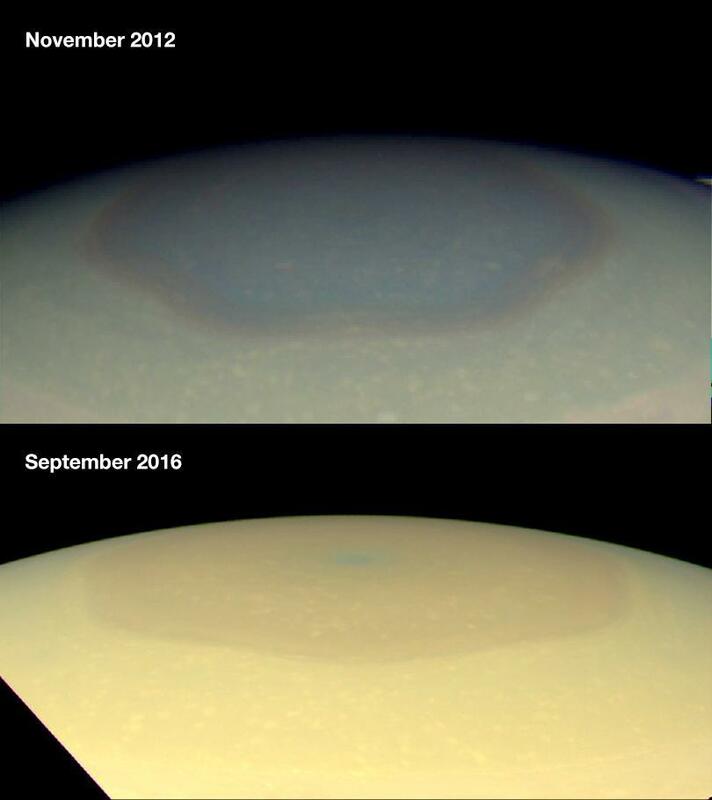 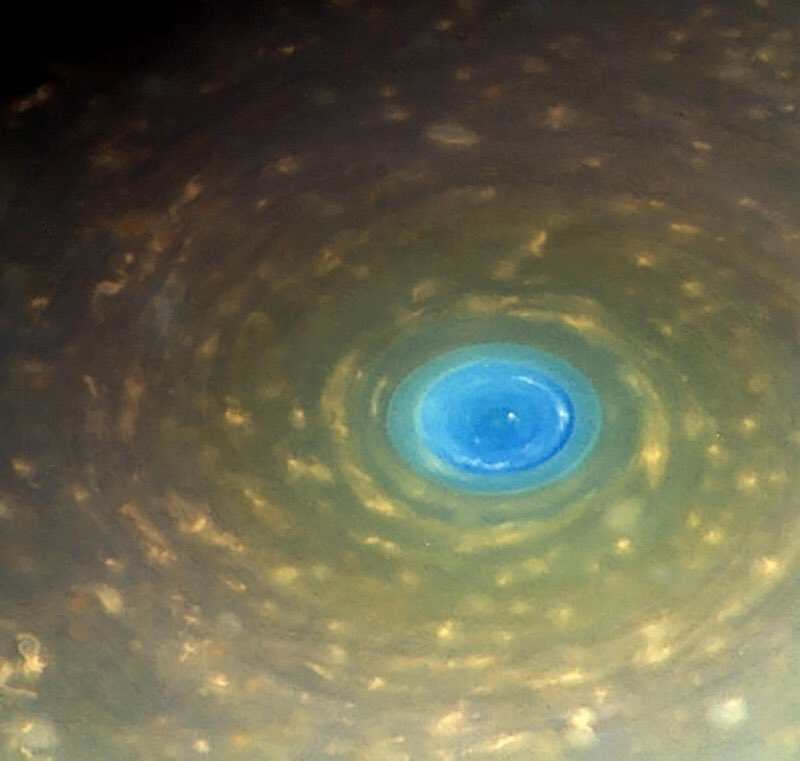 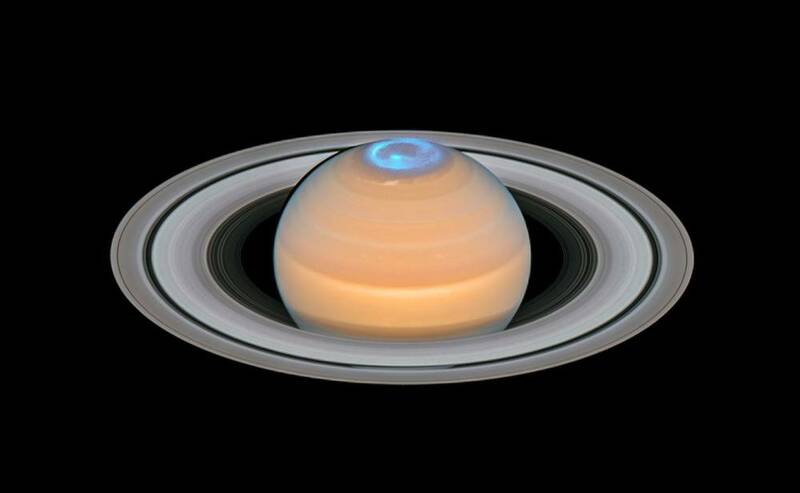 Saturn’s North Polar hexagon has changed color from blue to gold – and no one knows why.